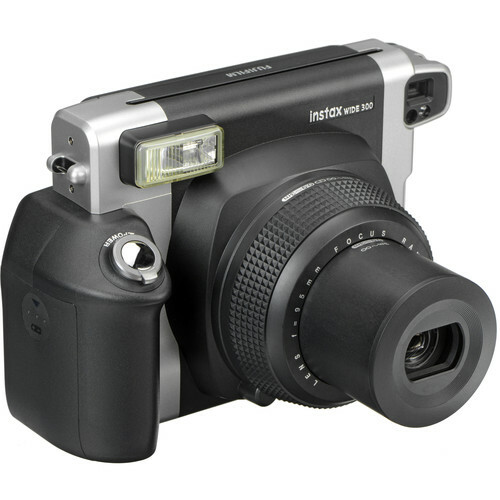 The Fujifilm Instax Wide 300 Instant Film Camera has a contemporary design and many improved features such as a tripod socket, real image finder and lens ring dial with focus zone setting. 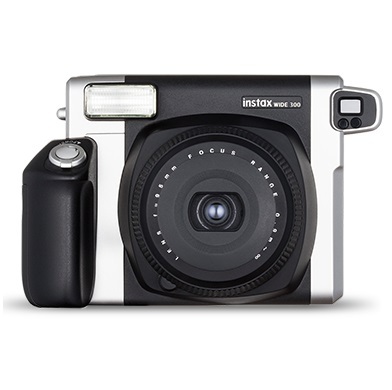 Uses Instax Wide film for vivid, high-quality instant prints to take photos twice as wide as Instax Mini Film. The accompanying close-up lens expands the range of photo shooting and allows you to shoot up to 15.7 in. (40cm) from the subject. 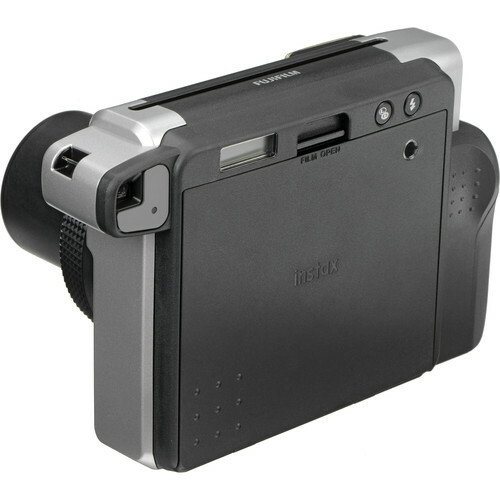 • This large film is well suited to photography at parties and other gatherings. Everybody's facial expressions are clearly shown. • The accompanying close-up lens expands the range of photo shooting. • "Automatic flash for low-light shooting" optimizes the luminescence in accordance with the distance. • Use back lighting to enhance your photos thanks to the "Fill-in flash by flash-on button." • "Exposure compensation (Lighten-Darken Control)" enables you to get just the right mood. • Instant Film: Fujifilm Instant Color Film "instax WIDE"
• Shutter Release: Programmed electronic shutter release, 1/64 sec - 1/200 sec.